As Christmas approaches, at Babyology we’re busy searching for the best baby finds, toddler toys and maternity must-haves. And we have an excellent new toy to introduce you to, especially if your little one loves animals. Come and take a look at the cheeky, colourful and creative Fisher-Price Little People Big Animal Zoo. If you’re not ready for that kind of commitment, cost and clean-up (seriously, how awful is the smell of kitty litter? ), then here is something a bit more realistic for the little animal lovers in your life – the Fisher-Price Little People Big Animal Zoo. 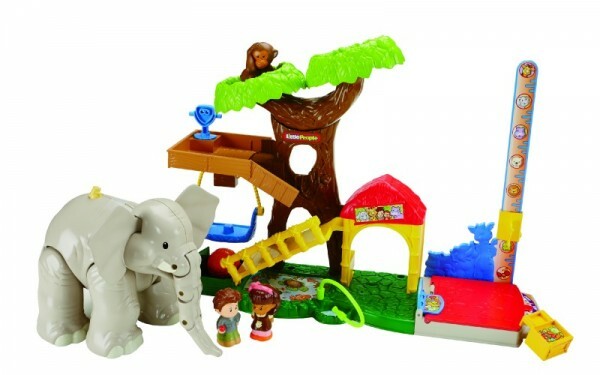 Fisher-Price Little People Big Animal Zoo is all about discovery. 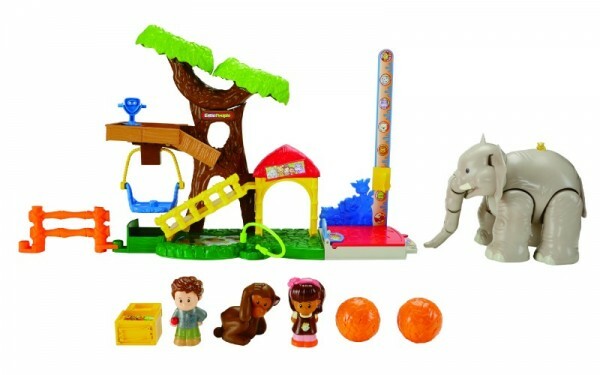 The set comes with two characters – the zoo keeper and Mia, as well as an elephant, monkey, monkey playground, two food pieces and a fence connector. Little ones love exploring the various sounds and activities with their realistic elephant pal. The elephant’s legs, ears and head all move and he comes with three activation points for music and silly sounds. The monkey is another fun element in the Animal Zoo. There is a see-saw for the monkey to rock back and forth and a real working swing. Toddlers who love pretend play will love the zoo keeper tools that let them clean, measure, weigh and even check the animals’ eyesight. This is a fun way to teach your little ones about responsibility (and it doesn’t involve having to clean up dog poop from the back yard … just saying). Retailing at $80, the Fisher-Price Little People Big Animal Zoo is a great addition to the Little People range, and is compatible with other characters and pieces in the range. If my kids are anything to go by, this set (like other Little People sets) will be used well beyond the toddler and preschooler years. Whether you are playing zoo with your toddler or supervising while folding the washing or changing the kitty litter for the fifth time in one day, the Fisher-Price Animal Zoo is great fun both for you and for your aspiring zoologist.